Why poor are always the first suspects in criminal cases? 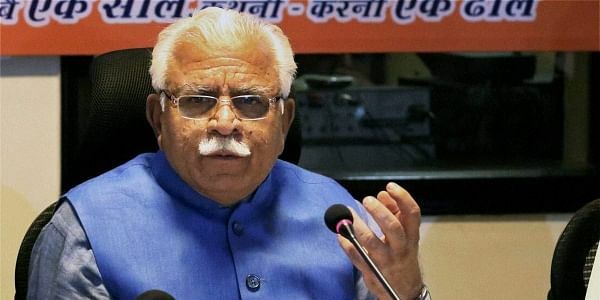 Chandigarh, Nov 23 (PTI) Chief Minister Manohar Lal Khattar today said the allegations levelled against the Haryana Police in connection with the Pradhyuman Thakur murder case were being investigated. He was asked about the allegations reportedly levelled by the family of school bus conductor Ashok Kumar against the Haryana Police that he was beaten up and forced to accept he killed the seven-year-old boy in Gurgaon's Ryan International School. "The matter is being investigated and action will be taken against the guilty," Khattar said in Ambala. Kumar, who was arrested by the Gurgaon Police in connection with the killing of Pradhuman, was released from the Bhondsi jail after a Gurgaon court granted him bail. He has not got a clean chit from the CBI. In a twist in the case, the CBI recently announced that it had apprehended a senior student of the school in connection with the incident, rejecting the police theory that the killing was the handiwork of Kumar. The CBI had arrested the 16-year-old student of Gurgaon's Ryan International School on charges of killing the class 2 student to get the school to defer a parent-teacher meeting and an exam. Pradhuman was found with his throat slit in the toilet of the school in Bhondsi, Gurgaon, on September 8.